When it comes to pain and opioids, many hospice and palliative care clinicians work to fight against the stigma and fear surrounding these important and powerful medications. We provide education on how how to take opioids safely and how the medications can be most effective to control pain for patients with a serious illness. Despite these efforts to educate, there still may be gaps in knowledge for patients and families and rarely the education can be misperceived as promotion to more hesitant patients, families (and other clinicians). Your practice, group, or organization may be covering some of these topics but possibly not all of them routinely for every patient. Making this education uniform and standard includes teaching at critical moments such as initiation of opioid therapy, change of opioid medication, and even considering 6- or 12-month intervals to review. One area many palliative care and hospice programs could be of more assistance is helping patients and families identify safe ways to dispose of opioids (or any medications). In my clinical experience, hospice nurses do a good job of discussing medication disposal with families after the death of a patient. Multiple strong medications may have been prescribed as death neared and the medications clearly do not need to be in the home after the patient has died. 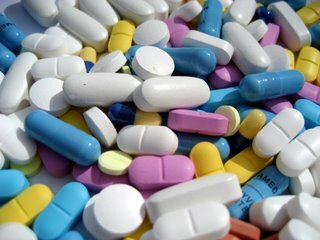 But outside of that very unique circumstance, do we talk about medication disposal once patients stop taking certain medications? In my experience, maybe not as often as we should. I've been familiar with the National Medication Take Back Day for a few years now, but I'm still surprised how many clinicians are not yet aware of it. Supported by the FDA and DEA, this program encourages local pharmacies and law enforcement to work together to securely receive tons (yes, tons!) of medications from shoeboxes and medicine cabinets around the country. Local areas may do this more often than yearly and the FDA also maintains a list of places to dispose of medications all year round. Get familiar with the places near you. Even simple pamphlets can increase safe disposal rates from 2% to 27%. Still abysmally low, but, hey, we should be starting somewhere. An increasing issue is the response to the important public health concern over opioid deaths. More laws will make it harder to get patients with severe pain access to these important medications. Massachusetts has been seriously flirting with a bill that would limit opioid prescriptions to 7-day fills. The hospice and palliative care community can help preserve this access with visible demonstrations of a responsible approach to these medications. So what do you do in your own organization? Are there any standard forms or education you would share with the wider community? Christian Sinclair, MD, FAAHPM is a palliative care physician at the University of Kansas and editor of Pallimed. In his spare time he likes to read FDA, DEA and CDC websites. *Please if you are health care do not refer to opioids as narcotics. I did in this piece to drive home a point. Use of the word narcotic in place of opioid in your documentation, education and communication with patients, families and other providers only reinforces the stigma that these medicines are either illicit, purely addictive or only dangerous. 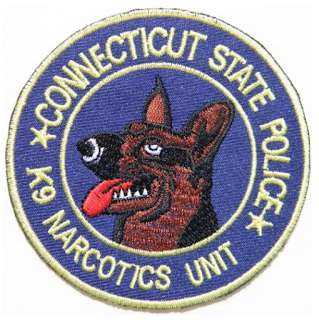 The term narcotic should be reserved for the Vice squad and TV Crime dramas when referring to Federal Regulations regarding heroin and cocaine among other illicit drugs. Even 'narcotic counts' is pretty inaccurate since on any nursing unit it may include other controlled substances like Ritalin, anti-psychotics, and benzodiazepines among other medications. Maybe we could make a more accurate term like 'Controlled Substances Count' (aka CSC). This is a long tangent for an asterisk, isn't it. The hospice industry is growing faster than ever. A study from AARP stated that “…for the next 18 years, boomers will be turning 65 at a rate of about 10,000 a day. 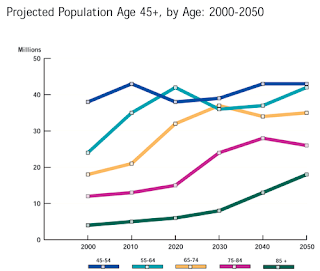 As this unique cohort grows older, it will likely transform the institutions of aging…”. Therefore, just as hospitals had to accommodate for the growth of babies in the OB/GYN years ago, hospices will now have to accommodate for the growth of aging individuals today. What does this mean for hospices? As shown in the 2015 NHPCO Facts and Figures, the rate of patients served by hospice continues to be on an upward trend, as well as the number of US hospice programs. Although there has been consolidation in the hospice industry, an increase of patients will cause the number of hospice physicians to increase as well. There is already a shortage of hospice physicians in the industry, so what will the industry face in 10 years? 20 years? So where does the Hospice Medical Director Certification Board (HMDCB) come in? HMDCB is a standalone certification board offering certification to eligible physicians. Hospice physicians can apply to take our exam and earn the Hospice Medical Director Certified® (HMDC®) credential. The difference between HMDCB and the ABMS/AOA certification is that HMDCB offers an experiential practice pathway. With these three ways to qualify, it opens doors to those who may not have the means to currently be certified through ABMS/AOA. HMDCB always encourages those who are able to participate in a fellowship program do so, but it is understood that many physicians enter the hospice industry mid-career, and taking a year off may not be possible. HMDCB seeks to certify all deserving physicians who have the knowledge and skills to hold the industry to a high standard of care. With heightened regulations, it is necessary that hospice physicians stay up to date and knowledgeable about standards in the industry. HMDCB hopes to relieve suffering and improve quality of life by promoting the excellence and professional competency of hospice medical directors and hospice physicians. 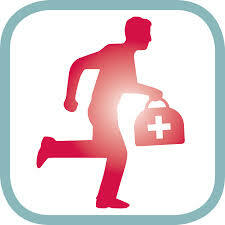 Follow @HMDcert for the latest on the Hospice Medical Director Certification process. If you are new to Tweetchats, you do not need a Twitter account to follow along. Try using the search function on Twitter. If you do have a Twitter account, we recommend using tchat.io, for ease of following. Allison Lundberg is the Account Manager for the Hospice Medical Director Certification Board. We have a serious problem on our hands. It’s been around for decades, but it seems to be getting worse. Our problem? Death avoidance. As a society, we keep getting farther away from the reality that death is inevitable. Death has gone from being something visible and an accepted part of life, to something invisible and far too easy to deny. In the 1800s just as photography was coming into existence it was common to have a post mortem photograph taken just after someone died. These photographs were displayed in the home as a constant reminder of the loss. Death was something that happened in the home. Generations lived near each other, so it was common to have grandchildren present during the last days, as well as in the home around the deceased’s body during the day or two of the vigil and wake before burial. Even the funeral processions were more visible. As loved ones walked behind a horse drawn carriage carrying the coffin in a slow mournful way, there was no escaping the knowledge of who had died, and all could see the family mourn openly. Mourning in the 19th century also lent itself to something more visible. Loved ones dressed in black for a period of months to years. This custom allowed others to be reminded of death’s presence on a daily basis. In our modern sophistication, we have drastically altered most of these past traditions. We don’t always live near family, and our elderly often are hidden away in nursing homes for their last months and years. Death occurs not in the home, but in hospitals and long term care facilities. Our distaste of death has seeped into funerals, which now are called a “celebration of life” with embalming practices to attempt to make the deceased look as alive as possible. We aren’t allowed to grieve for long, it’s too uncomfortable to face death. Mourners are subtly pushed to ‘get over’ their grief quickly and friends prefer not talking about it. The word death itself is greeted as a morbid term. We use phrases such as “he passed away” or “he went to be with Jesus” to make it easier to say. I’ve seen it done in my own field. People don’t want to say ‘hospice’ because of its association with death, and prefer using the term ‘palliative care’ to push the reality of dying farther away. Another subtle trend is to use the phrase end of life, instead of saying someone is near death. The switch from life to death, diminishes our discomfort with death. Recently I’ve had people say that even ‘end of life’ is too harsh. Should we come up with a new word for that period of life at the end? Perhaps we could call it the blue period. That way we cannot only avoid the word death but the word end as well. What harm has our denial caused? Increased futile and sometimes painful treatments at the end, increased fear surrounding death and diminished meaning of life to name a few. We must remember that it is the realization of our mortality that gives us a reason to live. 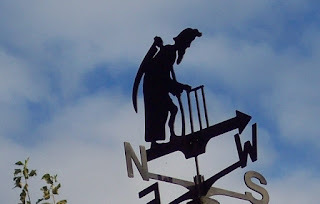 Photo credit: "The Grim Reaper" by Trish Steel via Wikimedia Commons under Creative Commons Attribution-Share Alike 2.0 Generic license. NHPCO recently released its newest video on the benefits of palliative care. How can we as a community best advocate for palliative care? What resources do you think are lacking in this area? What are the biggest problems you have when creating and implementing palliative care programs? Let’s have a robust discussion on where palliative care is going in 2016, and how we can all be better advocates for its expansion. NHPCO Director of Palliative Care Judith Skretny (tweeting tonight from @NHPCO_News) will join Senior VP of Communications Anita Brikman (@AnitaBrikman) and other NHPCO staff to facilitate this important conversation. 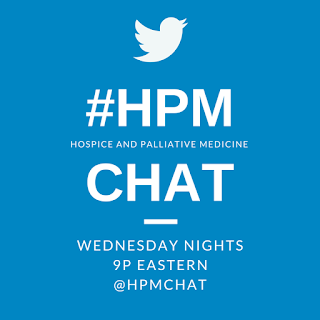 Chat Question 1: How do you use storytelling to help promote palliative care? Does it work? Chat Question 2: What gaps do you see when advocating for Palliative Care? How can we fill them? Chat Question 3: What is your goal for advancing palliative care in the next year? What help do you need to accomplish this? For examples of Storytelling as Advocacy see Deadra's Story from the Moments of Life campaign. Today is Giving Tuesday, the anti-dote to all our frenzied consumer spending on Black Friday and Cyber Monday. More hospice and palliative care organizations are making it easy for all of us to get into the Giving Tuesday spirit, so I wanted to just highlight a few notable examples. 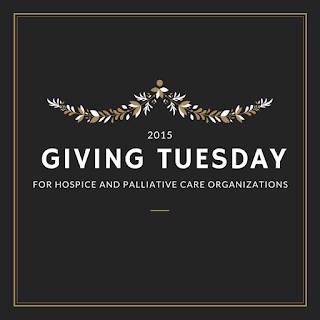 If you have examples of other hospice and palliative care groups highlighting Giving Tuesday please add them in the comments. The American Academy of Hospice and Palliative Medicine is featuring the Global Access Scholarship fund to bring international doctors from developing countries to the AAHPM/HPMNA Annual Assembly. AAHPM already funds 10 scholars at a cost of $5,000 each to cover travel and lodging. (32 over the past 5 years). But this year there were some outstanding candidates and they are hoping to bring an additional three doctors to the meeting. So far they are at $1250 of the $15,000 goal, but I'm sure there are more of us out there that realize how important this is and can make this happen! Go to the GoFundMe page and let's crowdfund this together! And even more crowdfunding on the international front, Death Cafe London, which was featured here on Pallimed last month, is still chugging along to their goal to make a real bricks and mortar place for people to be open about end-of-life issues. (This is not tax-deductible, but rather an investment/ownership in a non-profit.) Check them out on Crowdfunder (UK). Not quite a Giving Tuesday appeal, but more HPC organizations are starting to feature passive giving programs like Amazon Smile. Perfect for online shoppers! By going to smile.amazon.com, you can sign up for the charity of your choice and Amazon will give 0.5 percent of your purchases to the charity of your choice. Some of our bigger organizations are on there (AAHPM, NHPCO, NHF, CHPCC) as well as many local hospice and palliative care programs. Rainbow Hospice and Suncoast Hospice Foundation are other hospice organizations that are making Giving Tuesday part of their broader campaign of appeals. Christian Sinclair, MD, FAAHPM is the editor of Pallimed, and a big fan of making charitable donations to good hospice and palliative care causes. In fact, I will match the first $250 to any of the above hospice or palliative care organizations if you show me your donation because of this post! You can tweet, comment, or email me proof. Ms. S.T. is a 26-year-old woman with metastatic colorectal carcinoma who is admitted to the hospital with worsening abdominal pain. Imaging of the abdomen and pelvis demonstrates further progression of her cancer despite second line palliative chemotherapy. In addition to abdominal pain, she reports decreased appetite and nausea. No family is at bedside. Despite aggressive titration of IV dilaudid via a PCA, she continues to report excruciating pain and frequently asks the nurses for higher doses of opioids. On evaluation, she spends the first few minutes describing her pain in great detail, but the subject quickly changes to other forms of distress. She spends a lot of time talking about her fear of dying, about how her cancer has taken over her life. She describes her dream to be the first person in her family to graduate from college, and her hopes to provide a better life for her family. She speaks passionately of her desire to help others, and her distress at not being able to help herself. She is angry at her cancer, at her doctors for not catching it sooner, and at God for “abandoning” her. Her parents are deeply religious and tell her that “things are in God’s hands,” but hearing this only makes her more upset. When discussing her concerns and general distress, her pain seems to fade into the background, and she only pushes her PCA once in the hour visit. A multi-modal and interdisciplinary approach is put in place to help address her existential distress and total pain. The chaplain visits regularly, family and friends are encouraged to visit; psychiatry is involved to address concerns of depression. She wonders if there is a way to help give back, and take her mind off of things while in the hospital. Existential distress is quite common at the end of life, with some studies suggesting that 50-80 percent of terminally ill patients experience troubling thoughts about death, and only a minority achieve acceptance. While general consensus supports a multi-disciplinary approach to addressing existential distress, some more specific strategies exist such as cognitive existential group therapy, dignity psychotherapy, and meaning-centered group psychotherapy. Another strategy is the use of narrative medicine through reflective writing. In fact, some studies have even shown benefits of emotional disclosure through patient narrative on pain and well-being scales, showing that narratives with higher emotional disclosure resulted in a significant decrease in pain and an increase in well-being scores. Recognizing that a person’s illness is part of his life story acknowledges that we are all part of a larger life narrative – the story of ourselves, of our relationships, our love and suffering. We tell stories on a daily basis, whether consciously or subconsciously. But in the setting of illness, personal narratives and identities often crumble. Rita Charon and others argue that narrative medicine is a model for empathy, and is beneficial not only to our patients, but to ourselves as well. 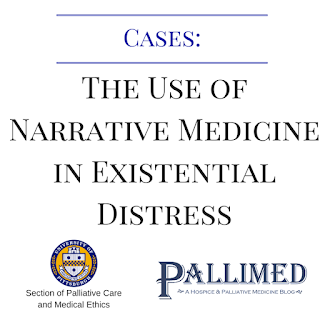 Palliative care experts use narrative medicine often on a daily basis – giving patients and family members time to explore their illness through storytelling, and eliciting their goals and values in the process. A specific technique in narrative medicine is the generation of a reflective piece through the 55-word story. The premise is simple: write for ten minutes about any topic or concern, and then spend another 10 minutes narrowing down the narrative to 55 words, cutting out the unnecessary words. This is a quick, and often very powerful, reflective tool. 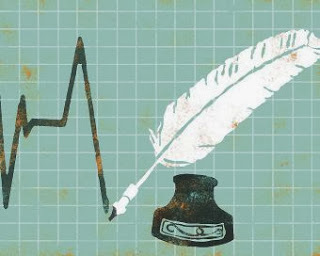 For patients searching for a legacy project, the exercise of writing – whether through an exercise like the 55-word story, or through journaling or some other form of expression – can serve this purpose as well. Ms. S.T. decided that journaling would be a way to express her frustrations, but at the same time share her life lessons with her siblings and other young adults living with cancer. In this regard, she felt like it would be a good legacy project and a way to further give back at the end of her life. She often spent hours a day writing in her journal, and found that this helped ease her mind and took her thoughts away from her pain. She made it her goal to publish her journal so that it could continue helping others long after she had died. Bolmsjo, I. Existential issues in palliative care – interviews with cancer patients. Journal of Palliative Care 2000;16(2):20-24. LeMay, K., Wilson, K.G. Treatment of existential distress in life threatening illness: A review of manualized interventions. Clinical Psychology Review 2008;28:472-493. Cepeda, M. Soledad et al. Emotional Disclosure Through Patient Narrative May Improve Pain and Well-Being: Results of a Randomized Controlled Trial in Patients with Cancer Pain. J Pain Symptom Manage 2008;35(6):623-631. Moore, R.J., Hallenbeck, J. Narrative Empathy and How Dealing with Stories Helps: Creating a Space for Empathy in Culturally Diverse Care Settings. J Pain Symptom Manage 2010;40(5):471- 476. Lindemann, N.H. Damaged Identities – Narrative Repair. Ithaca, NY: Cornell University Press, 2001. Marchand, L., Fleming, E., Mastrocola, J., Gasper, A., Marty, E. Noticing…Reflecting…Healing: 55-Word Stories. AAHPM Quarterly 2014;15(1):7. For me, attending the Center to Advance Pallaitive Care (CAPC) Seminar is very much like coming home. To be with other palliative care providers who understand the language, and the struggles as we all push forward the agenda of improving care for the seriously ill, is the ultimate homecoming. Though we all know “If you’ve seen one palliative care program, you’ve seen ONE palliative care program,” at the same time, so much of what we face is similar. I am so grateful to CAPC for creating the space, providing the tools, and driving the agenda to help us all lead the transformation of modern healthcare. I truly love being a part of it. There were more than 1,000 participants this year including physicians, nurses, chaplains, pharmacists, payers, social workers, counselors, administrators, the C-Suite (Yes, a health system CFO came to CAPC!) all trying to ride the wave as we shift from fee for service into the nebulous and evolving population health model. I love networking and learning with this crowd, exploring how palliative care demonstrates its value and maintains excellence in an expanding variety of settings and constructs. The preconference “Bootcamp” on palliative care strategies for the community was definitely a bootcamp. A little like drinking from a firehose, it was worth every minute. The overriding theme of the conference was the importance of relationships, across the continuum and at every level. As we consider, design, develop, build, and deliver expanded palliative care services, integrating and partnering with the communities that have a growing desire (and growing mandate) to get it right and well, will be essential. Including the individual patient and family voice has to be a part if this as well. I was especially struck by a comment from one of the speakers, formerly a caregiver for her husband over a prolonged, debilitating illness. She was asked by a member of the audience what she saw as the greatest need in helping caregivers of those with serious illness. Her answer surprised me, and it was simple - "Education." Her health care providers knew how to deliver the care, but they did not know how to teach it. She pointed out that doing and teaching are in fact, very different skills. I’d hadn’t really even thought of that before, but we are in fact asking nursing, care aids, respiratory therapists, and many others to teach our patient’s families what to do and how to do and we have to start training our health care providers in teaching skills as well. I learned so much from people speaking about their initial forays into telehealth, a fantastic presentation on resilience, as well as a very creative public engagement campaign that involved actors standing on street corners for a week with signs that read “Things you shouldn't wait to say” that grabbed the local media’s attention and pointed people to a website to help facilitate advance care discussions. I spoke to people from programs with incredibly different infrastructure who have had to get creative and partner and capture data in ways I’d never thought of. But I can take these back to my organization and improve the care we deliver. One Plenary led by Diane Meier, Director of CAPC, and and Lynn Hill Spragens on Payer-Provider partnerships provided a refreshing opportunity to see behind the curtain of the world of payers. So interesting to see that they face similar issues that we, at the hospital level, encounter as we come before the C-Suite attempting to define our value. Overall, this is a great conference, and one I look forward to attending whenever I can get there. Lizzy Miles and Jon Underwood reflect on the growth of the Death Cafe movement over the past four years and the current crowdfunding share offer to establish a physical café space in London, known as Death Cafe London. Do people really want to talk about death? 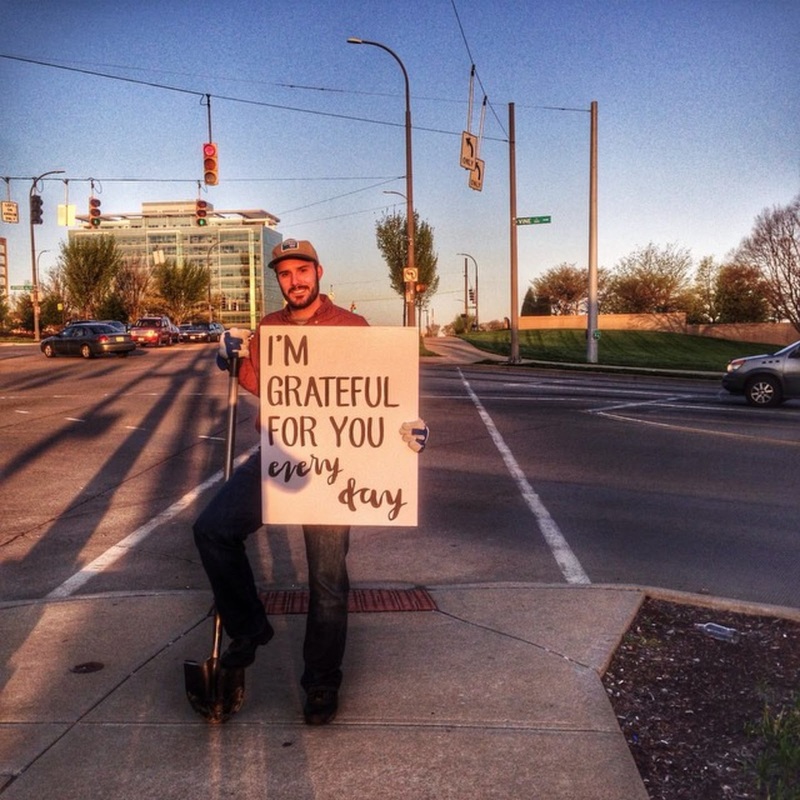 Jon: We have now had over 2,400 pop up Death Cafes in 32 countries including over 1,300 in the US. The only explanation for this is that there are many people who are keen to talk about death. On average around 60% of attendees at most Death Cafes are new people. In the evaluations we find people really like the events but oftentimes they don’t come back for a while – one Death Cafe gives them what they need. Many others are positively drawn to the subject and seek it out. Lizzy: Well, certainly not everyone does, but there are enough people that do. When people ask what I do and I tell them I work in hospice, the floodgates open. It’s as if they have suddenly come up for air and they are grateful to have someone they can talk with about death and dying. I have had complete strangers reveal very personal experiences in public places: a craft store, a poker table in Las Vegas, and even in an elevator. 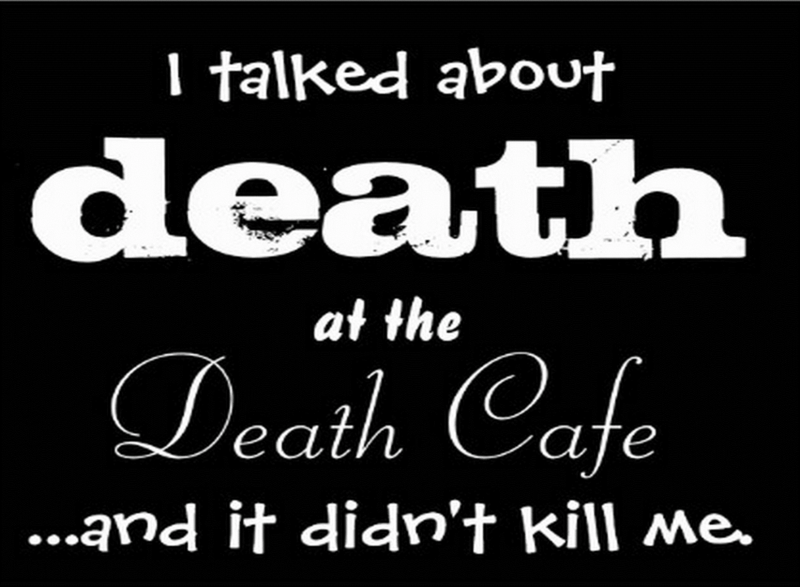 As soon as I heard about death cafe, I believed in it. The expansion of Death Cafes around the world demonstrates there is a population out there who do want to talk about these things. 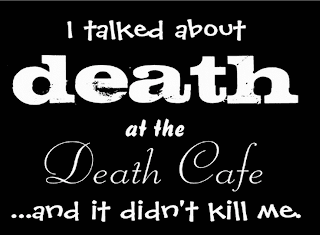 What has surprised you most about the Death Cafe movement? Jon: I also felt that Death Café had a lot of potential right from the start. I’ve been pleasantly surprised many times – by the quality of the people who give up their time on a voluntary basis to run these events, by the amazing conversations at the Death Café that take place that seem to make the air vibrate, by the constant sense that there is so much more to discuss and the enthusiasm people have for talking about this subject – because for them it is a normal, healthy, helpful and even healing thing to do. What do you wish people knew about Death Cafe? Lizzy: There are a lot of naysayers out there, and none of them have ever been to an event. There is the misconception that Death Cafe events are morbid and dreary. The naysayers complain about the word “death.” I don’t try to convince anyone to come who doesn’t want to be there, but I wish the naysayers wouldn’t make assumptions that they knew what the events were like. There is frequently laughter. When I held my first Death Cafe, I had tissues at the ready. I thought people might cry. They rarely do. It would be alright if people did cry, but that’s not the nature of the experience; it is uplifting. Jon: Just that it is here. For some people the culture that dismisses death and says that it is morbid to talk about it can feel really claustrophobic. Just knowing that there are not just a few but a lot of people who think that death is important enough to be worth focusing on can relieve psychological pressure. It seems like the Death Cafe movement is going well as it is. Why try to establish a physical space? Jon: Death Cafe is going well and we will continue to offer pop up Death Cafes regardless of whether we establish a physical space. It feels like there is a particular interest in death at the moment, which may be due to a range of factors. Regardless of the cause, I feel that talking about death is really important and potentially very useful. We are looking to set up the real Death Cafe to take advantage of this current interest and try to positively change culture around death and dying. What will the cafe space be like? Will there be coffins for tables and skeletons on the wall? Jon: No it will be very understated. Death Cafe London will feel different by virtue of its focus. In the context of this kind of environment - things – e.g. flowers, candles and clocks – take on a different meaning. Also for many people focusing on death brings a particular savor to life. As such an espresso can taste especially good if the drinker is aware of the truth that it may be the last one they ever drink. Lizzy: I can understand why people might wonder about this. There are some events where Death Cafe hosts have used skeletons and coffins in their imagery. Our vision for the community physical space is for it to feel inclusive, warm and comfortable. Somehow, I don’t think the skeleton décor would feel inviting. Why community owned instead of a not-for-profit? Jon: Legally Death Cafe London is a community benefit society. This is both community owned and not-for-profit in the sense that shareholders aren’t able to share in any profits we make. 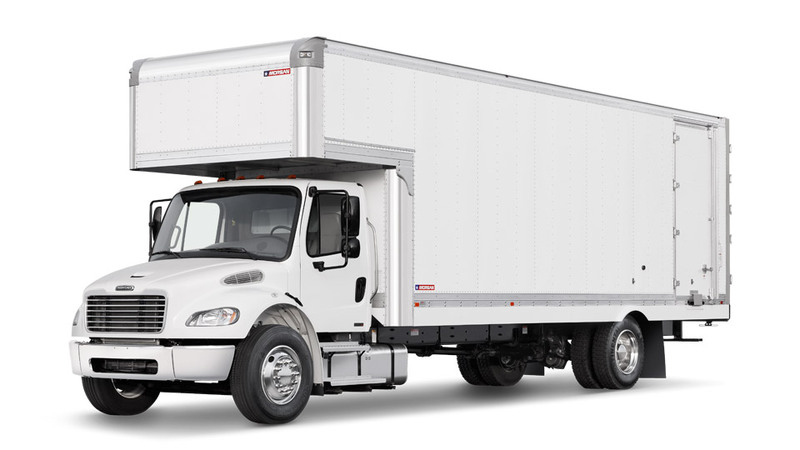 All profits would be invested in work to benefit the community. We chose this form as it is very much in tune with our ethos. To find out more information about Death Cafe, including where to find an event, or how to host your own event, visit DeathCafe.com. My reflections in the article below are offered to teach and to promote better care. They are not intended as criticism. Instead, this message is offered to carry out my brother’s legacy, telling others about his experiences, so that care for others can be improved. Chris wanted to teach those caring for him to understand him as an individual with very complex and unique needs and a highly developed self-management plan to stay as healthy as possible. For years, he lived on a tightrope of clinical stability that could be thrown off kilter with any little change. I’m thankful for the support and care we received, and for the difference our palliative care team made in his last days. 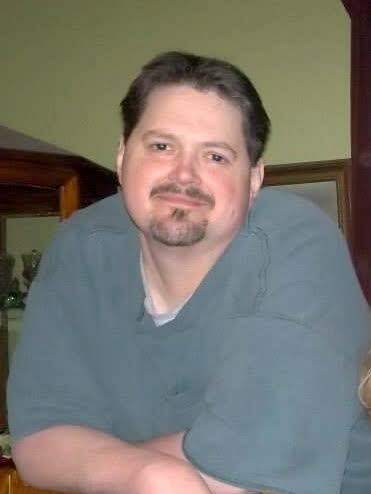 In the last 6 months, since losing my brother Chris at age 47, I’ve been grieving. My grief has been more prolonged and intense than any other loss, not only because he is no longer with us, but because I continue to relive the terrifying times when he could not breathe. These episodes were particularly intense when he was hospitalized, and especially in the weeks, days and hours before his death. In the hospital, he couldn’t just take an inhaler, a nebulizer, and an anti-anxiety med, like he would do at home. I wasn’t allowed to turn up his oxygen, or to give him his morphine, like I would do if we were at home. Instead, our well-honed symptom management plan was disrupted as soon as he was admitted. And ironically, this is where he needed his symptom management plan the most, when his heart and lung problems were at their worst. Yet I was scolded for turning up his oxygen, even though I’m a nurse, and had been doing this for him at home for years. When he requested a nebulizer, it often took 20-30 minutes. The nurse had to page respiratory therapy (RT) to administer it-nurses were not allowed to administer nebulizers on that pulmonary intermediate care floor. I had to advocate for him with numerous staff so he could even keep an albuterol inhaler at his bedside. And on the day of his death, when he suddenly awoke from his unresponsive state, crying “Breathe. Breathe” with terror in his eyes, I couldn’t do anything except call the nurse who again had to page the RT. We waited alone for help to arrive- it took almost 20 minutes. Every moment was agony for us both. And the memory of this episode continues to haunt me. How many times did he call me from the hospital during those two weeks, telling me “they’re not listening to me!”, his ongoing anxiety triggered by anything that was out of his normal routine for coping with his symptoms. How many times over the years of many hospitalizations did I get out of bed, and drive to the hospital late at night because he was distressed that they were doing things to him that he didn’t understand, or that he believed would exacerbate his symptoms? These episodes caused tremendous anxiety and distress for both him and for me throughout his last years, and especially during his final days and hours. These experiences had a detrimental impact on our satisfaction with his care. These memories continue to trigger my grief. I’m not alone. Others have told me about ongoing distress over how their loved one’s symptoms were not controlled quickly, some of these stories from years past. And yes, I’ve even heard of this happening in hospice, both inpatient and home care. When asked about the death, these people relate vivid memories of their loved one’s distress and their feelings of helplessness and regret at not being able to do more. They also talk about their dissatisfaction-with the hospital, the hospice, the doctor, the nurse… whoever they feel was responsible. This distress can keep them from moving forward. It can also cause them to seek justice for their loved one- through social media, scathing satisfaction survey answers, complaints and even lawsuits. Every time he was admitted, Chris felt like control over managing his symptoms was the purview of everyone EXCEPT him. He became dependent on the nurse, the physician, the respiratory therapist, the pharmacist, and many others, as well as “the system”. He was afraid to say anything critical about this because he knew that he was dependent on them for everything. Losing control over symptom management in the hospital is anxiety-producing in normal circumstances and terrifying during a symptom exacerbation, especially when you feel like you can’t breathe. And so I live with regret, having been unable to adequately protect and defend my little brother from the terror of feeling like he was suffocating during his final days and hours. 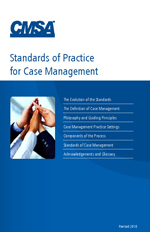 Rapid time-to-treatment: A new focus for quality symptom management? In Hospice and Palliative Care, symptom exacerbation or distress should be an emergency. But is it treated as such? In the midst of my brother’s last hospitalization, frustrated and angry in seeing him suffer time and again, I wondered “Why isn’t symptom distress treated as a true emergency?” I began looking at this issue through the lens of my background in cardiology. Ischemia is an emergency in cardiovascular care. Time to treatment has been used as a standard for quality care in cardiovascular emergencies, for over 20 years. As a cardiac clinical nurse specialist from 1996-8, I remember collecting data about door-to-drug times at my institution so we could minimize the time between patient presentation with acute myocardial infarction (MI), and treatment with tPa. This time-to-treatment focus continues to be used in to promote quality care in cardiovascular emergencies, now including stroke. This scrutiny of time intervals in the systems of care has been effective in identifying causes of treatment delay. It has provided data to streamline systems so they work quickly and effectively in cardiovascular emergencies. If symptom distress is a priority in Hospice and Palliative Medicine, could this cardiac quality improvement method be used to streamline symptom treatment? Could symptom symptom distress be viewed as a critical incident, in which time intervals between each step in the system are recorded, from the patient/ family symptom report until the symptom is controlled? Rapid relief of symptom exacerbation and distress in the dying patient (or anyone with advanced illness, especially during hospitalization) is essential to quality care, yet it is rarely being treated as a priority. If it were, our care approaches and quality indicators would be different. We would give the patient and family more control over their symptoms in all settings, facilitating their use of personalized symptom management strategies in all settings. We would consistently order individualized multi-component rapid symptom relief plans, based on what they know works for the individual, and carried over from one hospitalization to the next. We would not abandon patients and family members in distress. Instead, someone would be present to provide support and non-pharmacologic symptom management strategies while others are getting meds and new orders. We would employ interdisciplinary comfort and support-focused rapid-response teams for symptom distress episodes lasting over a few minutes. We would do rapid-cycle improvement projects to reduce time from symptom report to relief. These are some of my thoughts, based on my own experiences and reflections, and trying to be a voice for my brother who no longer can speak for himself. I look forward to hearing your thoughts and experiences. Topic 1: What is the immediate impact of poorly controlled symptom distress on the person who is dying and their loved ones, both immediately and long-term? Topic 2: How do you promote rapid alleviation of symptom exacerbation and distress? Topic 3: What guidelines and policies are needed to promote rapid time-to-treatment and patient-family control during symptom distress episodes, especially in acute care? Beth Fahlberg is a nurse educator, clinician and researcher with clinical experience in a variety of settings including hospital, clinic and home. She began teaching nursing in Seattle in 1995, and is now developing interprofessional continuing education programs on aging, supportive and palliative care in the Division of Continuing Studies.at the University of Wisconsin-Madison. Her greatest passion in teaching is giving voice to the patient and seeing her students develop as compassionate, skilled clinicians, who embody the pallaitve care philosophies, principles and practices she has taught them. Her personal and professional lives have often overlapped, and she uses her experience to convey what’s important to patients and families in her writing. She writes a bi-monthly column on issues in palliative and end-of-life care in Nursing 2015. As a pediatric palliative care social worker, I am at an interesting point in my career. Currently, I am supervising a student in the final year of her Master’s in Social Work internship while also working on becoming a Licensed Clinical Social Worker. As part of both of these processes, I engage in ongoing supervision, both as a leader and a participant in group and individual sessions. In both roles, I am pushed to view my practice through a learner’s lens. How would I assess this? What is the theoretical basis for that? These questions help me to constantly re-evaluate my knowledge and potentially re-frame my approach to align with new information. Although this helps encourage me to remain as current as possible, it also creates a creates a tenuous feeling to some long-held convictions which can be somewhat unnerving. Opinions I used to hold dear about options that constitute appropriate choices for families have shifted, and with them, so did some of my approaches. With all of this input into what I am doing and why I am doing it, I have a significant amount of time to reflect on my practice. When I talk about reflective practice in hospice and palliative care I imagine that most people in health care will immediately think about patient satisfaction surveys, those tools that have a growing impact on how we are paid, how our work is measured, and how we justify our work with data. However, what I am talking about here is personal reflection on our own work. According to Wikipedia, reflective practice is “the capacity to reflect on action so as to engage in a process of continuous learning”. (Wikipedia, 2015) When we truly reflect on our practice, we turn our gaze on ourselves and engage in critical reflection on what we are doing well and what we need to do better. This involves considering our strengths and weaknesses, being mindful of our professional ethics and values within the context of the industry’s ethics and values, and staying current on the evidence base for cutting edge theoretical and practical approaches. In addition, this process is ongoing, requiring repeated self-assessment and adaptation to what you observe about yourself and absorb from the growing evidence base. How do we Engage in Reflection? One of the coolest ways to reflect on your practice is simply to talk about it. Opportunities for this are growing; there are more conferences for hospice and palliative care professionals and listservs, blogs, and #hpm tweets abound. 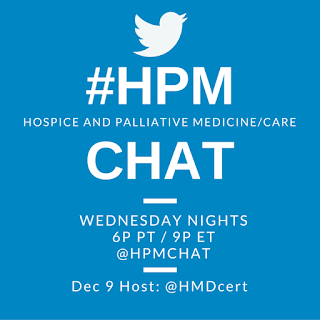 If you take part in the Wednesday night #hpm tweetchat you will be reflecting. One of my favorite ways to do this over the years had to be when Storycorps came to our hospital. Besides getting to interview several families, I got to spend an hour talking to my then program coordinator, an RN I had been working with for the past 3 years, about what working together had been like. We reminisced about our favorite memories and the patients and families who had impacted us. It felt like a mix of honoring their stories and highlighting our own, and gave us a chance to see our successes, both together and alone. What are the Challenges of Self Reflection? Of course, one of the challenges to true reflective practice is that involves aligning your practice with an ever-growing evidence base. The number of articles out there in the palliative care world that can apply what to what we do is staggering, both in the popular press and in academic literature. So one of the challenges becomes, how do we keep up? How do we stay current in an ever-changing world? Do we limit our article intake to key changes in the industry? For example there of been shifts in the treatment of certain pediatric diagnoses as technology and surgical techniques have advanced. With trisomy 13 and 18, there was a point where the literature indicated that providing cardiac surgeries for these patients did not show a statistically significant change in either length or quality of life for patients. But the thinking on this is changing and practice recommendations are changing with it. Join me for the #hpm tweetchat on Wednesday, November 11 where we will be reflecting on our own practices, as well as talking about how to foster reflective practice. Remember, we are talking about how to strengthen our own personal practice or encourage that growth in others, not venting about our workplaces or teams. Topic 1 (T1): What are the strengths of your #hpm practice? T2: What are you looking to add to your practice? T3: How can you cultivate a reflective practice? T4: How can you encourage others to engage in reflective practice? Join me @alifrumcally this Wednesday night at 9pm EST to explore self reflection in hospice and palliative medicine. Follow @hpmchat on Twitter for all the latest on #hpm chats. If you are new to Tweetchats, you do not need a Twitter account to follow along. Try using the search function on Twitter. If you do have a Twitter account, we recommend using tweetchat.com, for ease of following. You can access the transcripts and analytics of #hpm chats through @Symplur. 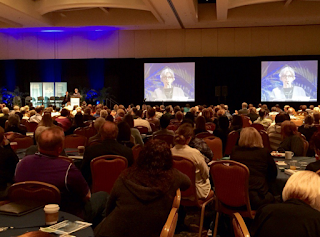 Year 2 of the Palliative in Oncology Conference was a repeat success, with an attendance of over 650 practitioners, more sessions and a new format. A significant difference was the addition of patient advocates who gave their perspective on the topics discussed. Below are some pearls in three main areas, Communication, Symptom Management and Integration of Palliative Care. Check out the Symposium Program for a detailed schedule of the meeting. The meeting opened with discussion of novel communication aids that incorporate technology to improve communication and shared decision making. James Tulsky MD, known for his work in the area of physician-patient communication, shared a computer based training program that helps oncologists to better respond to negative emotions, a program that will soon be available for all US oncology trainees. He pointed out that “See one, Do one, Teach one” only works if you have somewhere to look, and effective communication education includes observation, practice and goal-directed feedback. Areej El-Jawahri MD presented her impressive work showing seriously ill patients who viewed a video about CPR and intubation were more likely not to want these treatments, be better informed about their options, have orders to forgo CPR/ intubation, and discuss preferences with providers. Angelo Volandes MD MPH further emphasized the benefit of visual aids, introducing the ACP Decisions video library, including an informative (and free) video to introduce palliative care that made me want to receive palliative care immediately, despite being healthy! Joanna Paladino MD described her work on the Serious Illness Conversation guide. The work demonstrates that a tool to prompt conversations reduces patient anxiety while facilitating discussions in the setting of serious illness. Paula Rauch, MD and Kathi Mooney PhD, RN discussed the effect of illness on children and the need to intentionally communicate and care for them in these instances. We were reminded “Just be honest” is not quite enough guidance for parents and children want to know when a parent’s death is approaching. I also loved hearing of the “Living Legacy” where friends and family plan ahead to be a part of special moments in the child’s life, ensuring a piece of the lost loved one lives on. Howard McLeod, PharmD gave an informative talk that, if not already convinced, left me certain that Palliative Clinicians need to be well-versed in the role of bio-markers in patient care. He discussed the tailoring of treatments for effectiveness and side effects, and translating the science into something that is meaningful to the patient. I’m convinced we will all need to review our immunology textbooks so we can keep up with appropriate treatments! Multiple presentations were given on cachexia, discussing mechanisms and potential treatments. The most promising was Jennifer Temel MD’s work on the ROMANA I and II trials, showing significant increases in lean body mass and body weight in patients with advanced non–small cell lung cancer (NSCLC) and cachexia who used anamorelin (not yet available in US) compared with placebo. Susan McClement, RN, PhD and Charles Loprinzi, MD addressed the patient side of cachexia, reminding us nutrition and hydration carry significant meaning to patients and families. For now, appetite stimulants don’t improve quality or quantity of life, so our role should include a focus on managing expectations. Another medication we may hear more about is aprepitant, an expensive enti-emetic that helped to decrease cough frequency in lung cancer patients, as shown by Amelie Harle, MD who used their Manchester Cough in Lung Cancer scale for objective measurements in the study. Brian Schmidt MD discussed mechanisms of cancer pain, noting destruction of tissue and compression of nerves is not the full explanation of cancer related pain. He notes nerve recruitment and increased pain is prognostic, serving as bellwethers and sensors embedded within the cancer. Talks on the use of radiotherapy for malignancy symptoms emphasized the Choosing Wisely initiative elements, with an emphasis on fewer fractions for palliative patients. This sometimes results in the need for retreatment, but does not increase symptoms as some might believe. Alternative treatments were also discussed this year, in a breakout session, with discussion of massage, acupuncture and music therapy. Marie Bakitas DNSc, APRN, NP-C, AOCN, ACHPN presented the third ENABLE trial showing early, phone based palliative care interventions decreased depression in caregivers and improved survival of advanced cancer patients when instituted early. This adds to the increasing literature that early, integrated palliative care can increase life expectancy, and caregiver stress when initiated in the appropriate patients at the appropriate time. Kathleen Foley MD took a wider view at integration of palliative care with a look at the worldwide stage, discussing her passion of bringing symptom management to low resource areas, believing “pain control is a human right”. Margaret Campbell, PhD, RN, FPCN discussed appropriate identification of patients in need of palliative care, opening with a story of a patient for whom she was consulted so late that she asked “Are you consulting me to come and pronounce this patient? !” She advises us to identify patients based on their unmet needs, not based on their risk of dying. She emphasized the role of primary palliative care in the ICU, outlining the necessary elements in Table 3 of their paper, emphasizing advance care planning discussions early in the hospitalization. Spirituality was touched upon by Michael Balboni and Jonathon Marron, demonstrating the need for the medical team, including the interdisciplinary palliative team, to have direct conversations, since community clergy interactions and hope for miracles tend to increased aggressive care. A highlight on the second day was Vicki Jackson’s keynote presentation on effective care integration and the co-management model. She emphasized the need for Palliative and Oncology clinicians to understand (and respect!) each other and develop prognostic awareness. She notes that dedicated palliative clinicians may not be available, but other members of the oncology team may play the role of a palliative provider. She asks palliative clinicians not to “vilify the oncologist” (here, here!) and identifies “Prognostic awareness” as a key area for Palliative and Oncology collaboration, emphasizing that is not a one-and-done event, it must develop over time. As the collaboration of Palliative Care and Oncology increases across the country and the globe, I’m excited to be a part of the conversation by attending and participating in meetings like this one. I hope to see increased participation at next year’s symposium, in San Francisco September 9-10, particularly from members of the interdisciplinary team. Thank you, AAHPM, ASCO, ASTRO and MASCC for another great opportunity to learn and share with our colleagues. Kristina Newport MD (@kbnewport) practices Hospice and Palliative Medicine in Lancaster, PA where she also spends time running after her children, 4 and 6. Is palliative care better off now than it was one year ago? It has been more than a year since The National Academies of Science, Engineering and Medicine (formerly known as The Institute of Medicine, or The IOM) released Dying in America: Improving Quality and Honoring Individual Preferences Near the End-of-Life. Since then the report has become a guiding star in the palliative care community and was cited in nearly all articles related to the end-of-life—from professional journals to the New York Times. Dying in America told us where we were strong and where there was room for improvement. Palliative care bloggers everywhere gushed with enthusiasm. Late last month the Center to Advance Palliative Care (CAPC) released a state-by-state report card rating access to inpatient palliative care services. Then just a few weeks ago the Coalition for Compassionate Care of California and the California HealthCare Foundation released Dying in California: A Status Report on End-of-Life Care, a report benchmarking the state’s progress against the recommendations laid out in the Dying in America report. How do you feel about the current state of palliative care? What does palliative care look like in your area of the country? I want to know. Join me for a tweet chat on Wed., Nov. 4, where we will reflect on the recommendations made in Dying in America and celebrate the progress of palliative care programs throughout the country. 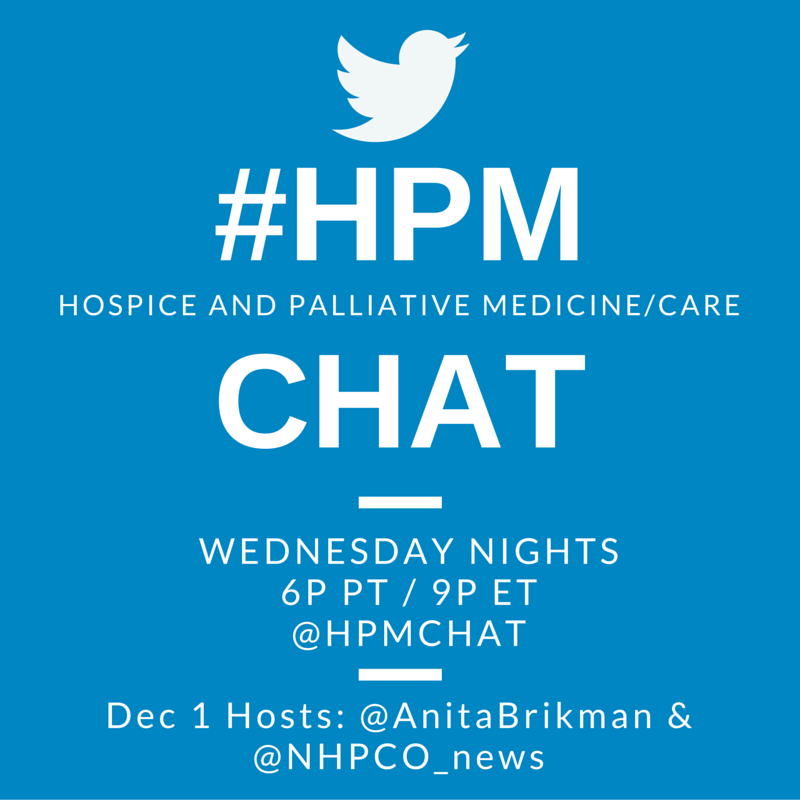 Topic 1: How has Dying in America shaped the palliative care movement over the last year? Topic 2: How have you used the Dying in America report (e.g., to make a business case for palliative care, communicate with the media, reference in a proposal)? Topic 3: If you had a magic wand, what is the one thing you would want changed in The Institute of Medicine’s recommendations? Topic 4: What would you like to see happen in 2016 that would further The Institute of Medicine’s recommendations? 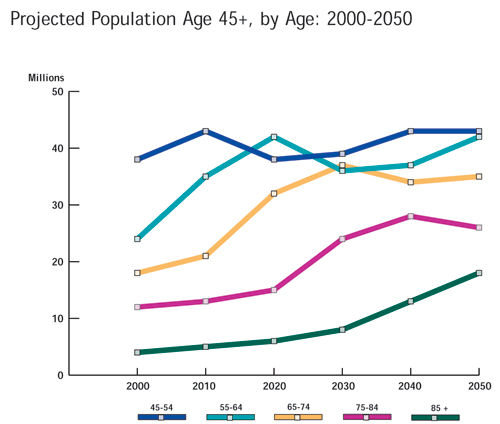 Extra credit: If you haven’t read the Dying in America report, read the brief and download the key findings and recommendations. Judy Thomas, JD, is CEO of the Coalition for Compassionate Care of California (CCCC), a statewide collaborative promoting high-quality, compassionate care for all Californians who are seriously ill or approaching the end of life. Through advocacy, education, and resource development, CCCC is working to ensure that organizations and communities have the information, knowledge and tools to create the future of palliative care. Follow CCCC on Twitter at @CoalitionCCC.